A 400 kilometre-wide impact zone from a huge meteorite that broke in two moments before it slammed into the Earth has been found in Central Australia. The crater from the impact millions of years ago has long disappeared. But a team of geophysicists has found the twin scars of the impacts – the largest impact zone ever found on Earth – hidden deep in the earth’s crust. Lead researcher Dr Andrew Glikson from The Australian National University (ANU) said the impact zone was discovered during drilling as part of geothermal research, in an area near the borders of South Australia, Queensland and the Northern Territory. 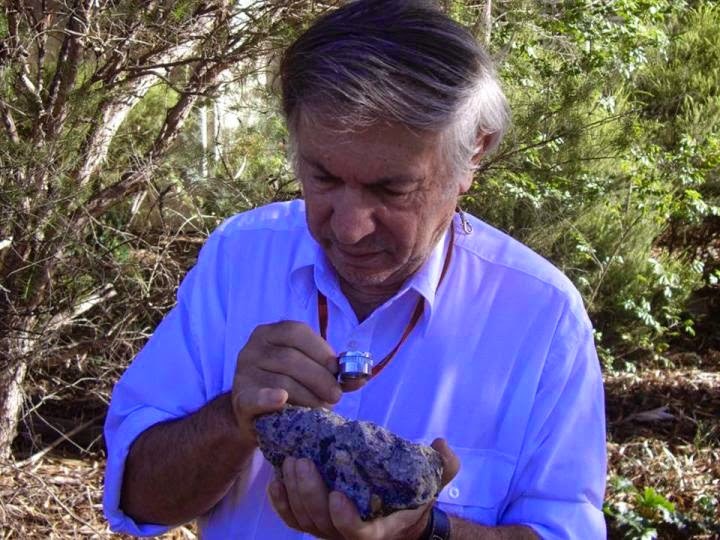 “The two asteroids must each have been over 10 kilometres across – it would have been curtains for many life species on the planet at the time,” said Dr Glikson, from the ANU School of Archaeology and Anthropology. The revelation of such ancient violent impacts may lead to new theories about the Earth’s history. “Large impacts like these may have had a far more significant role in the Earth’s evolution than previously thought,” Dr Glikson said. The exact date of the impacts remains unclear. The surrounding rocks are 300 to 600 million years old, but evidence of the type left by other meteorite strikes is lacking. For example, a large meteorite strike 66 million years ago sent up a plume of ash which is found as a layer of sediment in rocks around the world. The plume is thought to have led to the extinction of a large proportion of the life on the planet, including many dinosaur species. However, a similar layer has not been found in sediments around 300 million years old, Dr Glikson said. “It’s a mystery – we can’t find an extinction event that matches these collisions. I have a suspicion the impact could be older than 300 million years,” he said. A geothermal research project chanced on clues to the impacts while drilling more than two kilometres into the earth’s crust. The drill core contained traces of rocks that had been turned to glass by the extreme temperature and pressure caused by a major impact. Magnetic modelling of the deep crust in the area traced out bulges hidden deep in the Earth, rich in iron and magnesium, corresponding to the composition of the Earth mantle. “There are two huge deep domes in the crust, formed by the Earth’s crust rebounding after the huge impacts, and bringing up rock from the mantle below,” Dr Glikson said. The two impact zones total more than 400 kilometres across, in the Warburton Basin in Central Australia. They extend through the Earth’s crust, which is about 30 kilometres thick in this area. The research has been published in journal Tectonophysics. Note : The above story is based on materials provided by The Australian National University, Canberra.